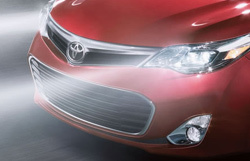 Make your presence known and light up the night with professional installation of Toyota fog lights or LED lighting from Tuscaloosa Toyota in Alabama ‐ serving Birmingham, Columbus, and Jasper. When you drive through fog, things not only appear hazy, but highly reflective atmospheric surroundings can cause headlights to send light back into your vision, which creates additional and dangerous visual impairment. 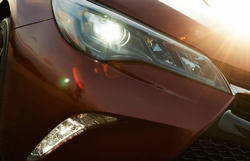 When you have Toyota Fog Lights installed, their placement below the front headlights reduces light kickback, while their shorter, wider beams lessen reflected glare. Installing LED headlights and taillights is a smart choice that creates extra visibility, while making your presence known to oncoming traffic and other drivers. Brighter than traditional lights, LED bulbs use less power than their Xenon and Halogen alternatives, and typically last for the life of your vehicle, making them an efficient and effective add-on.